We'd like to think we've set foot on just about every block in greater Center City, but we confess that today might have been our first time at 5th & Wood. And this makes some sense. From a driving perspective, the 5th Street tunnel takes you past this corner, popping out at Callowhill Street. From a pedestrian perspective, there's an overpass immediately to the north, offramps to the west, and the entrance to the Ben Franklin Bridge to the south. So it's not an intersection that you'd casually stumble upon if you're wandering through town on a weekend afternoon. 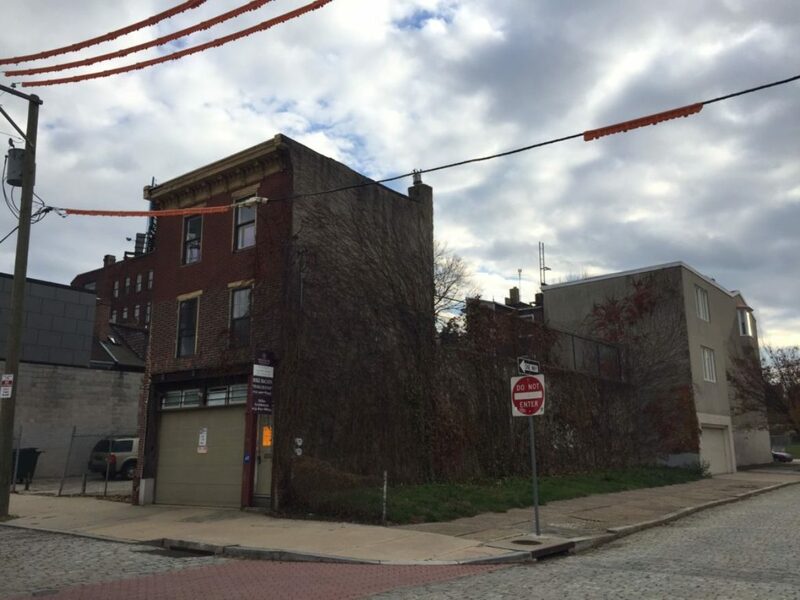 To look at this property from a different perspective, it's close to Center City and Northern Liberties with easy access to highways and the bridge. Despite that, it's in an incredibly quiet area with relatively few cars and pedestrians. Those factors make the property a fine candidate for a high end project, and that's exactly what's happening here. 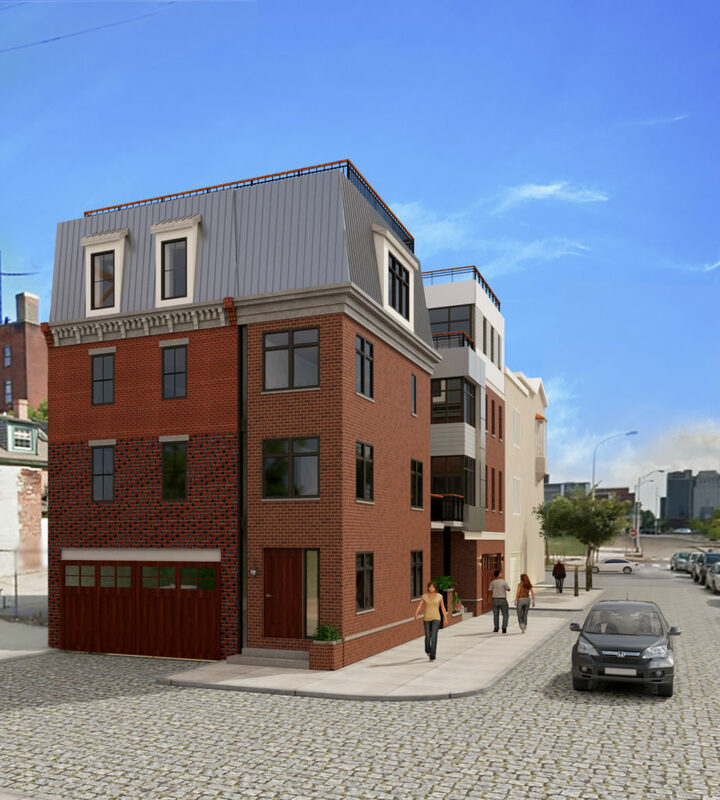 AGA Developers have a plan to build two huge homes at 309 N. 5th St., a project they've dubbed the Janus Estates. Janus is the Roman god of transitions, but you probably knew that already. 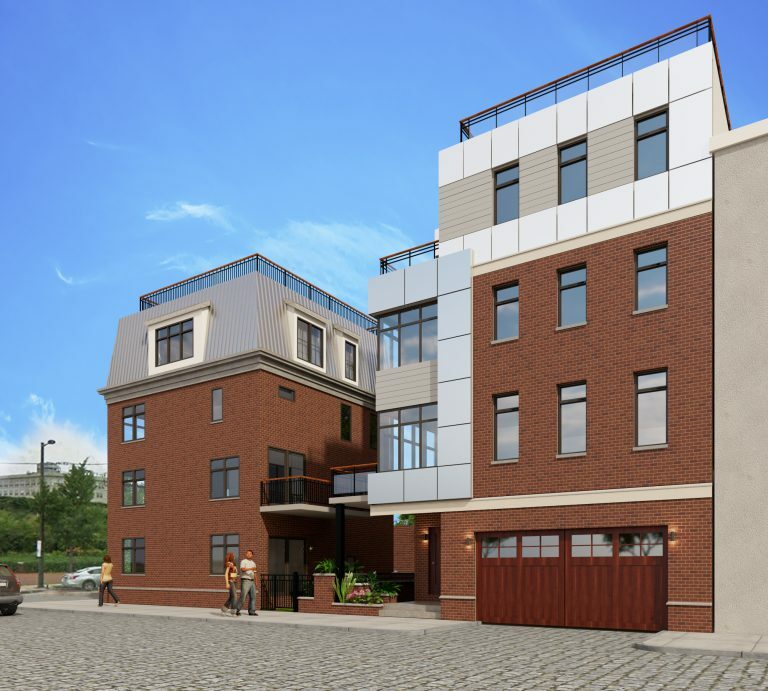 One of the homes will front of 5th Street, with the other fronting Wood Street, and both will include 4,000 sqft of living space, 3 bedrooms, 4 full bathrooms, 2 half bathrooms, and two-car parking. Abitare Design Studios did the architecture for the project, and their work is on display in the renderings that follow. The homes are currently listed for $1.65M, which is pretty much the price you'd expect at this location for a project like this. 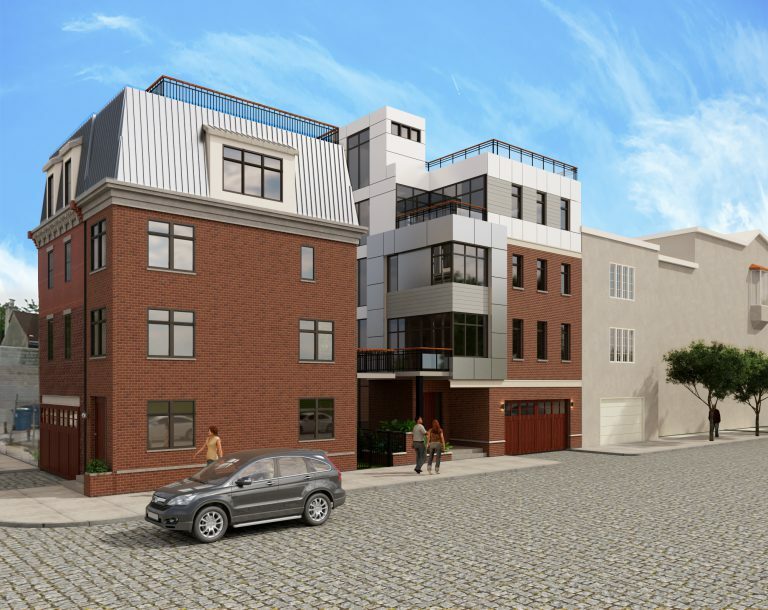 And with a seemingly booming mansion market in Old City, we suspect the developers will find buyers in relatively short order.